I'm embarrassed to admit that when I was a child in the early 1970's I watched wrestling on television. I wasn't a big fan of wrestling but I was a big fan of hanging out with my teenage brother so, if he wanted to cheer while oversized men in onesies pretended to beat each other up, then watch it we did. 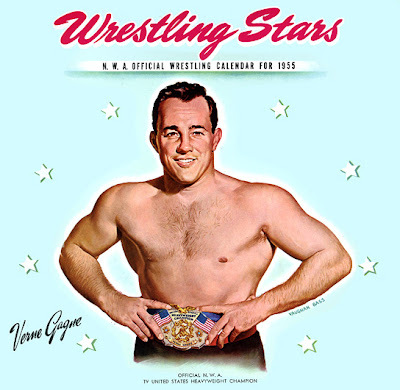 Verne Gagne is one of the names I remembered from that era. Now it appears the 82-year-old Minnesota wrestling legend is being questioned in the death of his 97-year-old roommate at the ironically named Friendship Village. Gagne, it's suspected, threw the poor old guy to the ground causing fatal head injuries. Both men suffered from Alzheimer's. Apparently, Gagne forgot that wrestling is faked.